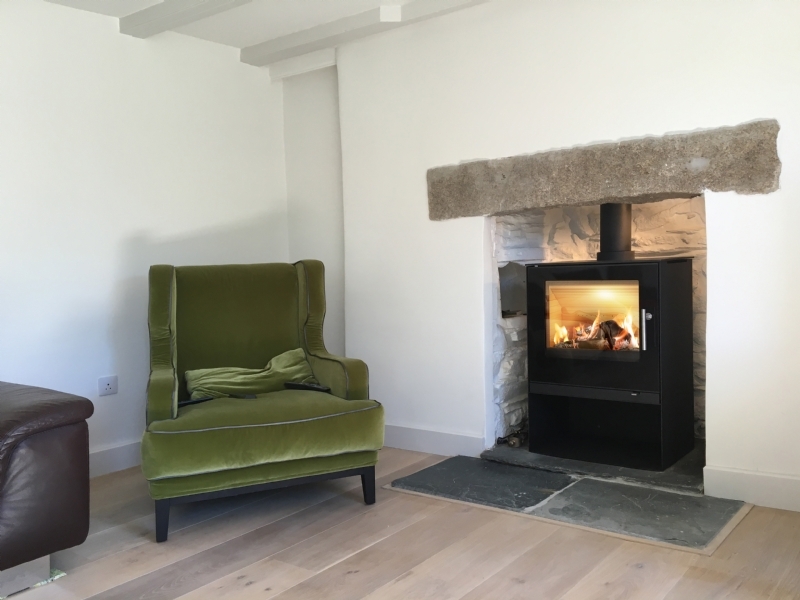 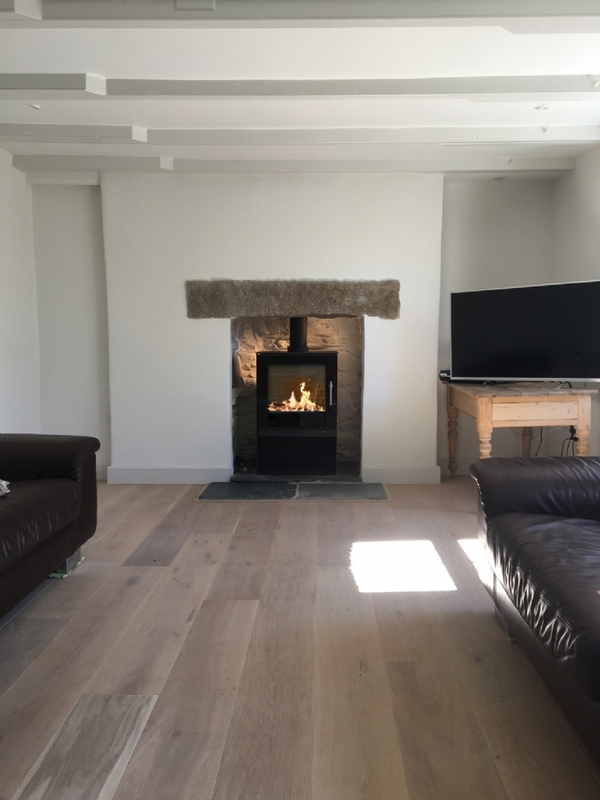 Rais Q-Tee2 in a cottage in Cornwall wood burning stove installation from Kernow Fires. 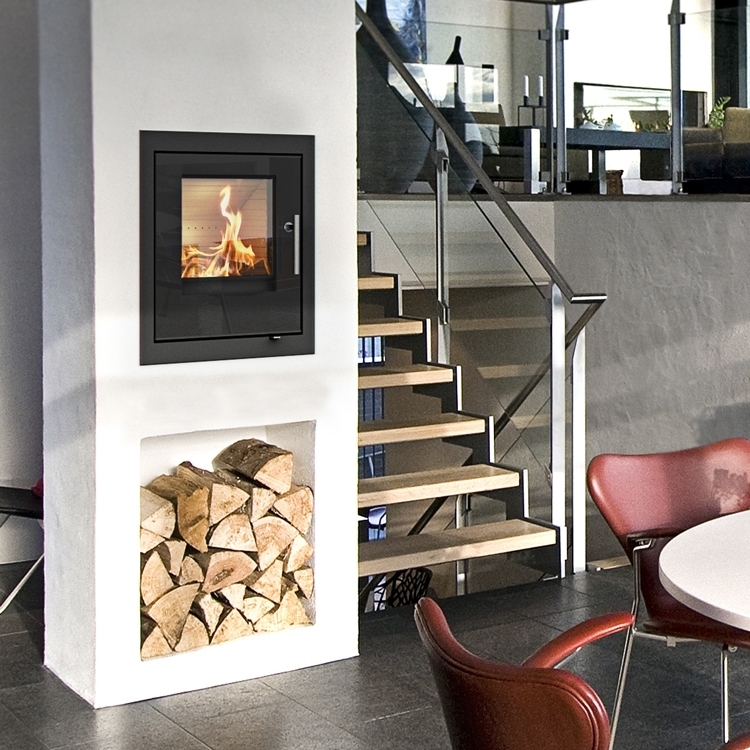 The Rais Q Tee 2 is the ultimate in simplistic design with attention to perfection in every detail of this cubist fire. 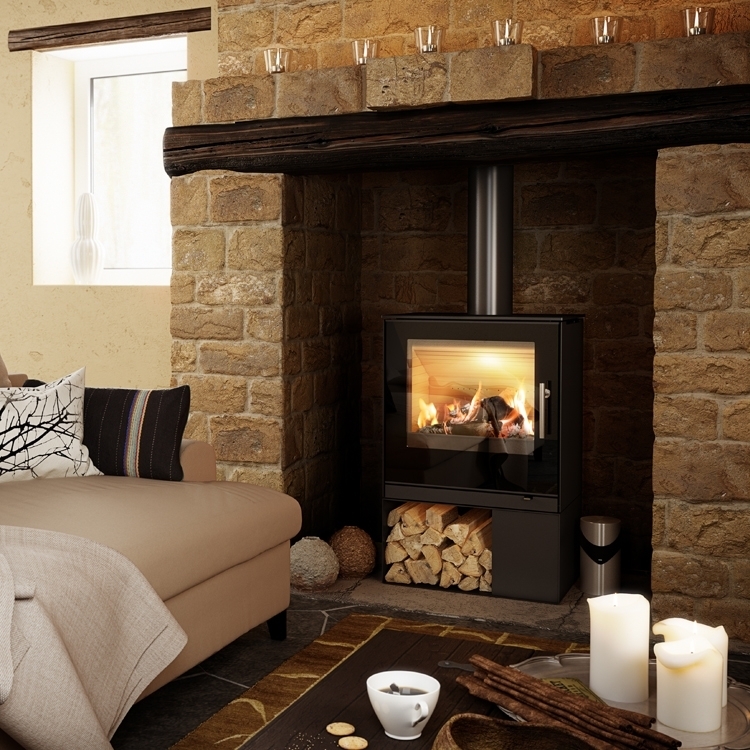 It comes with or or without the log store and with a choice of top or rear flue.